PowerLedger is an energy platform which facilitates the exchange of energy between peers in a decentralised fashion. It uses blockchain or a decentralised ledger to allow parties to transact with each other without an intermediary and without having to trust a third party. Powerledger sees themselves as a movement, not a corporation. POWR tokens are needed to participate in the ecosystem of Power Ledger; they are the main token of the platform. POWR tokens will be used to fund Asset Germination Events. The tokens invested will have a claim on the energy that, that asset produces. Sparkz is a sub-token in the Power Ledger ecosystem. It is an energy token which is denominated in local currency; this makes it easier to buy and sell. Supports the functioning and decentralised energy markets such as peer to peer, village to village, apartment blocks/property managers and vehicle charging. These microgrids use the Powr/sparkz tokens to facilitate trading between the energy producers and the consumers. Without Power Ledger, this is not possible. The demand for energy is increasing all over the world, and its supply is constrained by the amount of oil we can extract from the ground and the number of utilities we can put online. Power Ledger has supply-side economics in its favour. EROEI is an important but relatively new metric to score energy sources. Power Ledger energy sources are Renewables / Clean energies. This makes the consumer less dependent on oil; it increases the production of renewable energy as producers now can trade it directly to other peers, not just the grid. Makes that economy less reliant on oil-producing countries. Dr Jemma Green, the Cofounder of Power Ledger, is the mayor of Perth, Australia. Her doctoral research focused on “Citizen Utilities, and she was invited to Richard Branson’s Necker Island in 2017 for a Blockchain Summit. Clearly, Dr Green is a great mind able to think and act and has the wisdom to surround herself with other stars. A team like this can achieve a lot, and they have the money (from the ICO) to do so. Power Ledger had been the recipient of Australian Government Grants. This gives PowerLedger legitimacy. 1. An outright scam, The founders have not run away with their money. 2. MVP created. A minimum viable product or proof of concept has been created. Is the token price of the POWR token over valued? There is probably a reasonable amount of speculation and assumptions built into the price, which makes it a risky bet if the least of what investors are expecting does not materialise. While their business models and geographical focus are different at this time, they might not be so in the near future. Dash has also recently been tested as a peer to peer currency for energy trading. 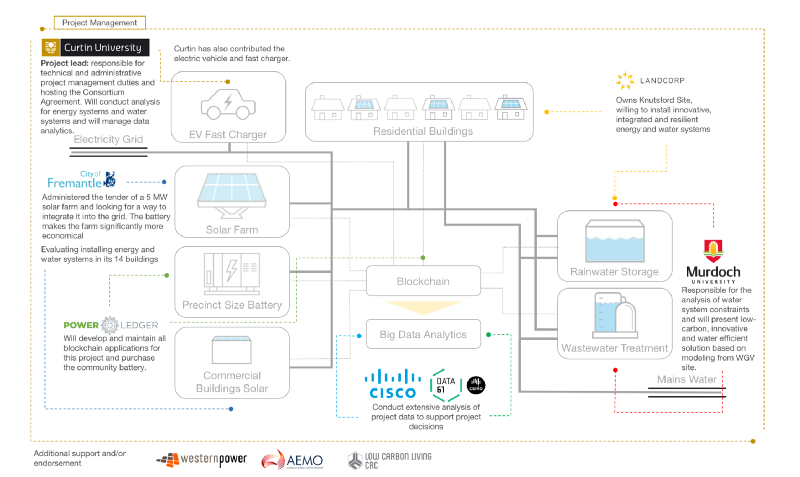 Power Ledger energy thesis is one of self-supply or citizen utilities rather than corporate utilities. This is entirely different from the model mostly used today, that is a risk in itself. The PowerLedger view of the world has been proven on a small scale but not on a regional scale. There is a risk that POWR tokens will be categorized as a security, with the consequences of exchanges not listing it. This risk is valid for all projects of this kind. The legal bond between token holders and token generators is legally sketchy. Thus it could be that the benefits of the token holder’s changes as the regulatory environment change.